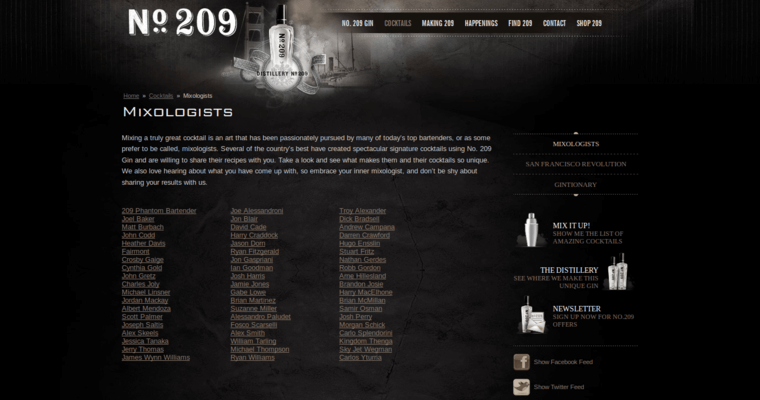 Your love of gin is about to begin with the supremely divine sensations of San Francisco’s No. 209! This feisty female-dominated brand has fomented a fierce legacy for unprecedentedly fabulous liquor. With a hip vibe, their handcrafted elixir makes an elegant mixer, but you don’t have to be an expert drink mixer to derive enjoyment from this grand gin. In fact, the makers would recommend imbibing this sensuous formula straight, but they still proudly publish dozens of unique cocktail recipes. Either way, the lavish undertones will leave your taste buds ravenously craving more. Melted ice from Sierra Nevada is used for every distillation, which usually takes 11 hours! According to the company, there are four distinct “gin personalities,” and this concoction is the only blend that appeals to all of them. With its comprehensively dynamic qualities, No. 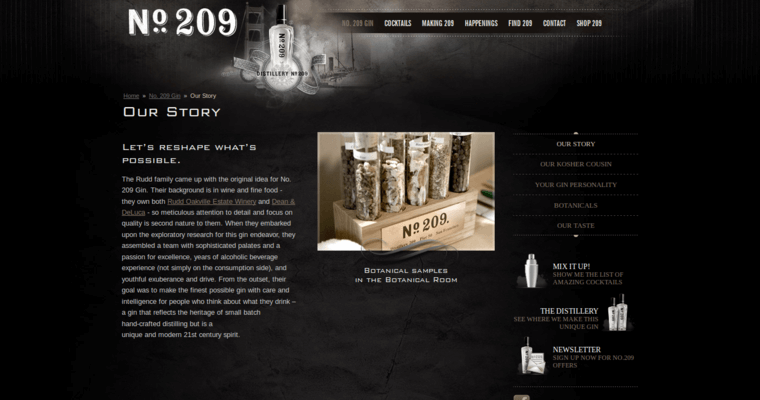 209 is guaranteed to please The Ginthusiast, The Ginlightened, The Ginskeptic, and The Ginnocent!